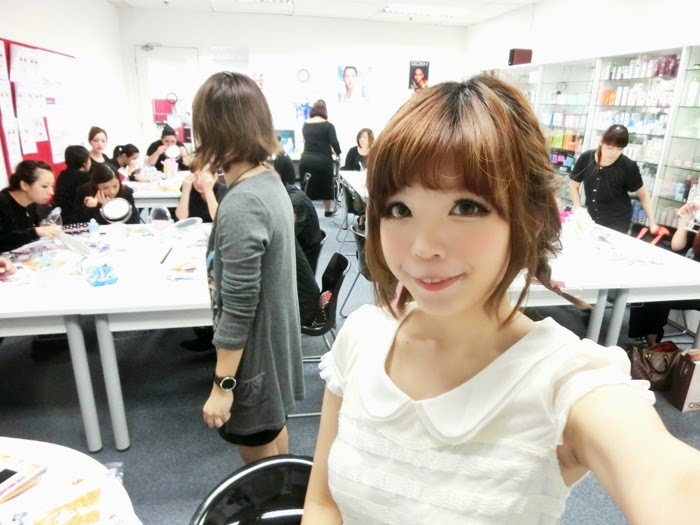 A few weeks ago, i was invited to prepare a training session for SASA's beauty advisors! Our local beauty advisers need to be equipped with skills of putting on both upper and lower falsies~! it looks so natural on her! Even though i've been hosting makeup demonstration for the public for quite a few times, it's my first time doing it for the professionals! nevertheless, they are really awesome and they picked up really fast!